It’s likely you’ve seen them—food trucks of all flavors and fare parked in large mixed use commercial parking lots or outdoor recreation destinations. Preparing on-the-spot items ranging from gourmet sandwiches and vegan wraps to sushi, food trucks are drawing attention to retailers and restaurateurs for more than just the food they serve. 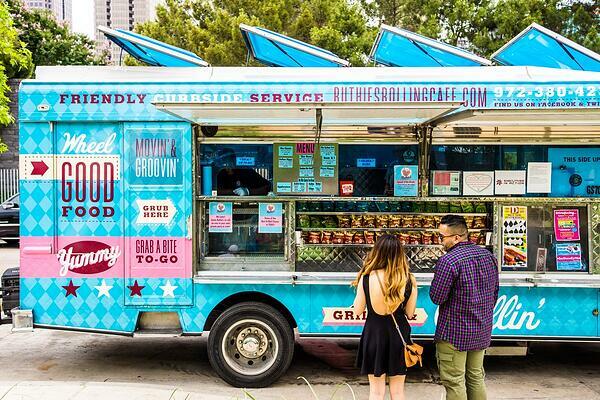 So, what are food trucks doing well to make their transition to brick-and-mortar business successful? Furthermore, what can brick-and-mortar food service retailers and grocers learn from them? The following operators featured in The Coloradoan revealed how hard work to build their brand, know their business, and serve their customers paid off in their brick-and-mortar businesses. Common Link, formerly owned by truck operator who transitioned to the Farmhouse restaurant in October 2015. Know all of your business. Whole Foods Market launched its Tartinette food truck last year in Austin, TX to experiment with menu items. They were able to create “eating experiences,” which they revamped seasonally.